Semioticians (i.e., people who study the function and meaning of signs and symbols) deploy the term “empty signifier” (also called “floating signifier”) to denote things or concepts that have no fixed, stable meaning; that have vastly variable interpretive renditions; or that “may mean whatever their interpreters want them to mean,” to quote Jeffrey Mehlman who wrote an influential essay on the subject in 1972. The original Boko Haram isn’t exactly an empty signifier in the classical conception of the term since it has an identifiable ideological character (antipathy to Western modernity, etc. ), a locational identity (northeast Nigeria), and a recognizable operational modality (violence against people who oppose its wacky ideology). However, over the past few months, the perceptual consensus about the group in the popular imagination has mutated radically. For many mainstream northern Nigerian Muslims, Boko Haram initially just meant an embarrassing lunatic fringe that would sooner or later dissipate. Over time, however, the term came to be understood as a scurrilous linguistic marker deployed by southern Nigerian Christians to describe all northern Nigerian Muslims. As a result, many northern Muslims who truly detest the ideology and operational modalities of Boko Haram have been pushed to the uncomfortable situation of tacitly defending the group. But in reality they’re merely defending their northern Nigerian Muslim identity that is now being unfairly linked with Boko Haram. For many southern Christians, Boko Haram initially meant nothing. But later came to represent this omnipresent monster of violence that wants to wipe out Christians from the surface of the earth. Over time, the term became a stand-in for northern Nigerian Muslims. On Facebook, Twitter, and other Internet deliberative arenas, Boko Haram has become the shorthand for northern Nigerian Muslims. For Jonathan administration officials, Boko Haram is this shadowy, sinister group formed by resentful northern Muslim politicians as a bargaining chip to win concessions from the reigning government, although the group’s emergence predated Jonathan’s ascendancy to the presidency by at least 8 years. For international observers, especially in the West, Boko Haram is al Qaeda’s representative in Nigeria that could target Western interests in Africa. It is divorced from Nigeria’s local politics. These characterizations are, of course, broad strokes that ignore many subtleties. For instance, it is not every Christian that invariably associates Boko Haram with all northern Muslims. And many northern Nigerian Muslims don’t feel compelled to defend Boko Haram in order to protect themselves from stereotypical generalizations. But it can’t be denied that the current popular conceptions of Boko Haram are not exactly consistent with the original identity of the group. Boko Haram has now transmogrified into a catch-all devil term for any and every violent deed in (northern) Nigeria. When robbers dress in stereotypical northern Nigerian Muslim robes and utter “Allahu Akbar!” before dispossessing their victims, they are “Boko Haram” members. Any church that goes up in flames in any part of Nigeria is invariably attributed to Boko Haram. The Christian man who was caught attempting to burn a church in President Jonathan’s home state of Bayelsa while dressed in traditional northern Nigerian attires would have been dubbed a Boko Haram member had he succeeded. The latest appropriation of Boko Haram is the alleged email the group sent to media houses giving an ultimatum to Christians in the north to leave the region. From my point of view, it is implausible that such a directive would emanate from the “original” Boko Haram for two reasons. One, Boko Haram primarily operates in the northeastern states of Borno and Yobe, and these states have a robust indigenous Christian population. Some people estimate that as much as 30 percent of the populations of these states are indigenous Christians. I won’t be shocked if some Boko Haram members have distant relations who are Christians. How plausible is it for a group located in such states to ask its indigenous Christian population to relocate to the south? The notion of a wholly Muslim north is a fallacy that gets repeated many times by people who have no clue about the complex religio-cultural architecture of the region. Second, when Boko Haram emerged in 2002, it wasn’t violent. It was merely a ludicrously crazed group that derided Western education, venerated its leader as God’s divine representative on earth (which is blasphemous in mainstream Islam), preached for the enthronement of its version of Islamic rule in Borno and Yobe, and ridiculed other Muslims who scoffed at its eccentric beliefs. 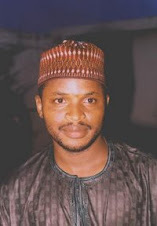 Then in 2009, the Yar’Adua government sent law enforcement agents to raid the group’s headquarters because its members were allegedly stockpiling arms in readiness for a violent confrontation with Muslims who disdain their beliefs. Scores of the group’s members and leaders were murdered in cold blood without due process. It was after this brutal suppression that the group became violent. Its violence was initially directed only at law enforcement agents and Muslim scholars who openly criticized them. It’s difficult to account for their transmutation into a Christian-hating group. 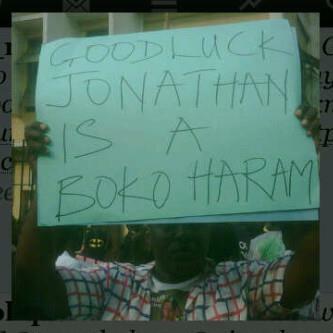 Many people believe the Jonathan administration and the “new Boko Haram” may be one and the same thing. In this moment of extraordinary unity in adversity that the senseless hike in petrol prices has activated in Nigeria, the government has a compelling reason to keep the people divided and distracted. And what better way to do it than to exploit Nigeria’s traditional fissures: pit Muslims against Christians and southerners against northerners. I am not completely sold on this theory. Boko Haram does exist. And its capacity for evil is boundless. There are also despicably homicidal thugs in Muslim garbs whose thirst for innocent non-Muslim blood cannot be denied. I have written about and condemned these groups on this page many times in the past (see related articles below). But a government that arrested an alleged Boko Haram leader but gave him a slap-in-the-wrist jail term at a comfortable, secluded location outside Nigeria’s prison system after an unusually speedy and secretive trial, that tells its citizens to learn to live with the burden of perpetual violence and deaths, that declares a state of emergency in selected parts of some states in the country only as a smokescreen to jerk up petrol prices, that has earmarked an insanely and unprecedentedly gargantuan proportion of the national budget to “security,” and that is gripped by a monomaniacal obsession to visit horrendous misery on ordinary Nigerians at any cost in obeisance to IMF/World Bank directives is capable of anything. Fortunately, Nigerians have risen superior to the distraction. There is no greater proof of this—and of the floating nature of the Boko Haram signifier— than the popular protest slogan in the demonstrations across the country that says “Goodluck Jonathan is a Boko Haram.” How apt! Incisive and critical analysis. Good job!